Recently, I’ve been looking in to ‘personal profile sites’ and what they can potentially do for someones internet reputation. 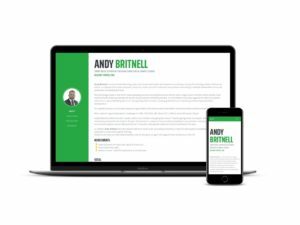 Cohoda LTD are currently running an experiment for a long-term client, Andy Britnell. Between us, we’ve thrown together andy-britnell.com to see what positive effect on his personal profile we can build from a single, one page site. If this experiment is successful, I’ll look at doing more personal profile sites – including one for myself. I see them as extensions of linked in profiles – where by anyone can see the information, without having to be a LinkedIn member. 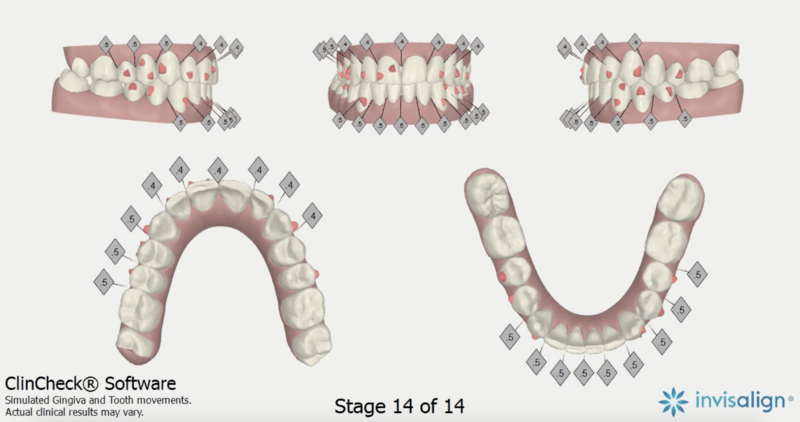 After re-doing my impressions due to my wide arch, the results of my clinical check are in. As expected, will need attachnemtns, or ‘buttons’ on a few of my teeth – unavoidable really given the crookedness of some of them! 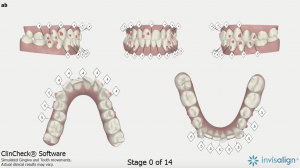 The red dots on my teeth in the pictures above show where they’ll be. 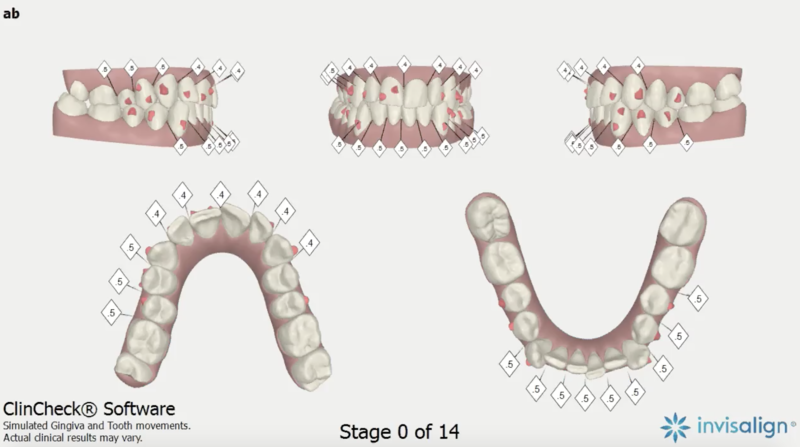 I’ll also be having some space made in between each teeth by filing in between each tooth very slightly to make more room for the teeth to move. The whole process was explained really clearly, and I’m happy with it. After some thought over the last couple of days, I’ve decided to go ahead with the treatment. Since I’ve paid £350, I’ve now got £2650 left to pay – 50% payable when I call and go ahead with the treatment, the remaining 50% when I have the first set of trays fitted. I’m going to get a plan together for when most convenient to have them fitted. Will update on here when I do! 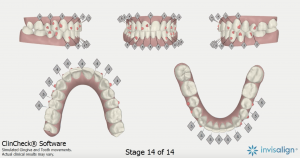 Invisalign Clinical Check – The start! After visiting a few local orthodontists for the initial consulations, I booked a clinical check with Pennyhill Dental, Bagshot, which I attended earlier this week. The cost of the clinical check was £350, which would go towards the £3000 total cost (of the ‘lite’ Invisalign treatment) should I choose to go ahead. While this wasn’t the cheapest place I found, it certainly was more friendly, and I preferred the doctor (Dr Gill) to many others I had visited, which was worth the £250 or so extra. Pennyhill Dental are also open later than other local orthodontists, meaning I can have my checkups after work. The expected treatment time would be 6-8 months, which I can just about live with, I think! During the clinical check, a series of x-rays are taken, as well as impressions of my teeth, so they can do the generated before/after shots. The actual process was fine – basically biting down on plasticine like substance set in a tray. I’ve booked another appointment for a couple of weeks time to see the results! Unfortunately, because of my narrow upper arch, I had to return a week later to have new impressions taken, using a different custom made tray. Minor inconvenience, but I’d rather it be correct! I took my car to Fox Garage Blackwater as it was pulling to the left very slightly. A few days later, when I returned from my trip, I’d heard nothing. I called them, chasing an update, and was told I’d been left two voicemails by Mike Squire – not very helpful at all! Anyway, the problem was a faulty brake calliper, and it would need to be replaced. This, I was told, was not a problem, and he understood. Paid for the work up front, as it was a special order part. Was given a time of two days to do the work. I called on the Friday, it was due to be finished, at around 4pm. I was told that Mike was on a test drive, and would call me on his return. So, I sent an email, complaining about the lack of communication. On Saturday, I receive a phone call saying the car is ready, it no longer pulls to the left. However; I was unable to take the old part, as there was a ‘surcharge’ on it. I went to Fox Garage and spoke with Mike directly regarding this. He was adamant that I could not have the part, as there was a £50+ VAT surcharge on it – charged by Land Rover, to make them return the old part. I explained the situation, but was again told I would need to pay the £50+ VAT if I wanted the part. 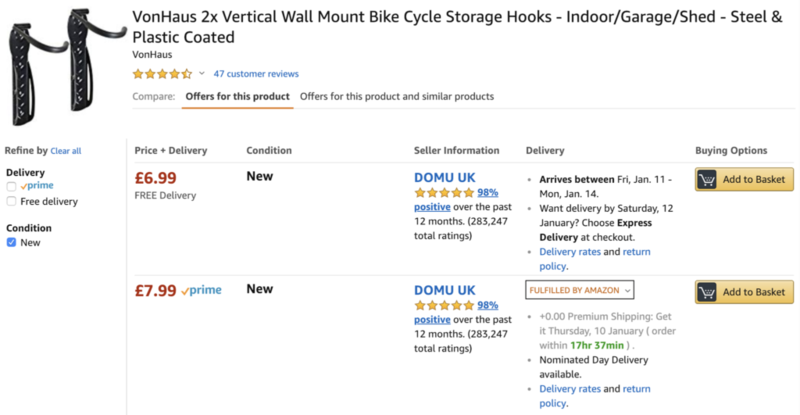 I pointed out that I agreed the price, based on receiving the old part! Still, he would not move. I feel completely let down and messed around by Fox Services. This was my first time using them for any kind of serious work, and I certainly won’t be using them again! My father, who recommended them to me (having previously been a customer of theres for 5 years) will also no longer use them! Such a shame, as on the face of it, they seem to do a good job. Massive let down in communication, and sticking to the agreed deal!